The commercial auto-part market was outdated. Business was typically done using large catalogues full of unclear pricing, forcing customers to purchase over the telephone. Starting from home in 2009, Rob Ropson sold truck parts on eBay and shipped them directly from suppliers. 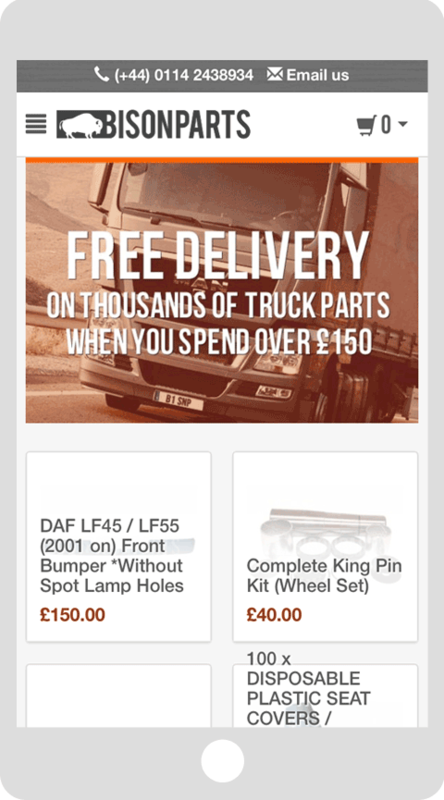 There was obviously a pre-existing demand from customers to buy truck parts online quickly and conveniently. It made sense to assume that an e-commerce destination with excellent search and browsing, transparent pricing and personal customer service would thrive in this sector. 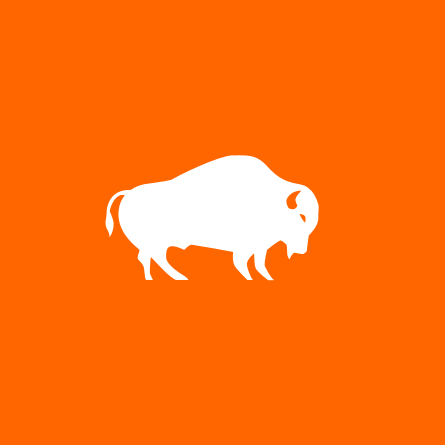 At the end of 2009, Bison Parts was born and I was hired to help create it. During the early consultation period we tried out many existing e-commerce solutions. Conventional software packages seemed too feature heavy for a fledgling store and many others were difficult to modify or missing crucial features. As the initial requirements were limited but very specific I decided to custom build a solution and not rely on existing products. I anchored the website around a unique navigation system. Truck parts are complicated as many of the parts fit multiple vehicles but can be fickle around years and models, so a part that looks like it should fit your vehicle may not. This problem seemed solvable in a system of refinable navigation options where you can refine by category, subcategory, make, model and year. This became a key differentiator, we were easier to navigate and our suggested parts were more than likely going to fit your truck, negating the need to phone up and check. 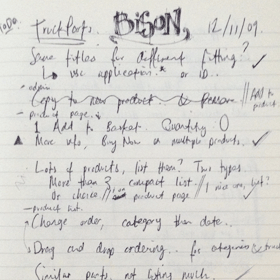 We launched the first version of the website in 2010. The benefits of tackling old markets is that they're slow to adopt new marketing techniques. Search engine optimisation seemed unheard of so I decided to make it the core of our marketing efforts for attracting new customers. Just by focussing on a having easily crawled site, a clear canonical hierarchy, optimised page URLs and informative on-page content we were able to rank in the top few places for most of our key terms without much off-page activity. 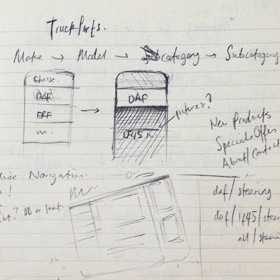 Over the next years I stuck with the project, introducing new features and refining the old ones. The company grew hiring new members of staff to deal with increased demand. In 2013, the current site started to appear dated and as the codebase was reaching its 3rd birthday, new feature progress was slowing, I decided a retooling was in order. It's important to bear in mind when considering a redesign what effect you want the new product to have. It takes a lot of time and effort so it's important you end up with a return on this investment. I drew up a list of our key metrics to try and identify the bottlenecks in the process between first visiting the website and making a purchase. During the redesign process I decided to harness some of the new trends and frameworks to accelerate our efforts. I rebuilt the store basing it in the Laravel framework and leveraged open source packages through composer. The idea being we could rapidly add new features as they were identified still without being committed to and limited by a particular e-commerce solution. The redesigned site, it's responsive too. As a result of the redesign, site searches and basket adds have significantly increased. 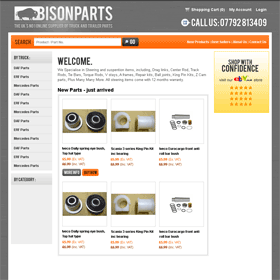 Bison Parts is now one of the UK's fastest growing e-commerce websites for truck and trailer parts. Sales have increased year on year and we're looking forward to the years to come. Investing the money made from my eBay business was a big decision. I met up with Mike to discuss my ideas and was immediately impressed by his creativity, knowledge and professional approach. 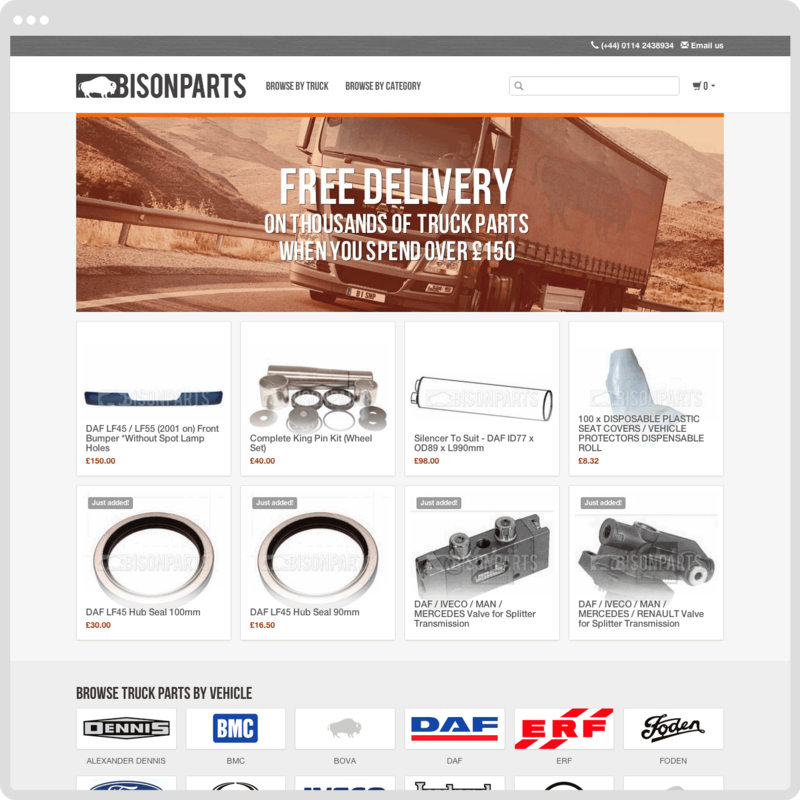 He made sure he researched and understood the truck parts market and worked hard to get the site live. Traffic has increased from them on. As an entirely Internet based company finding the right partner was crucial to success. I would have absolutely no hesitation in recommending Mike to anyone. A truly hard working, creative and trustworthy individual.